Apple iLife makes it simple to get the most out of your photos, video and music. iPhoto Events works the same way your memory does, automatically organizing your photos and video by the events where they were taken. iMovie collects all your video clips in one library where you can make movies in seconds and create custom DVD's with iDVD. GarageBand makes it simple to produce great music, whether you're an accomplished musician or you've never played a note. Plus you can create your own web site with iWeb. Make music, movies and much more with iLife and start sharing memories with your friends and family. 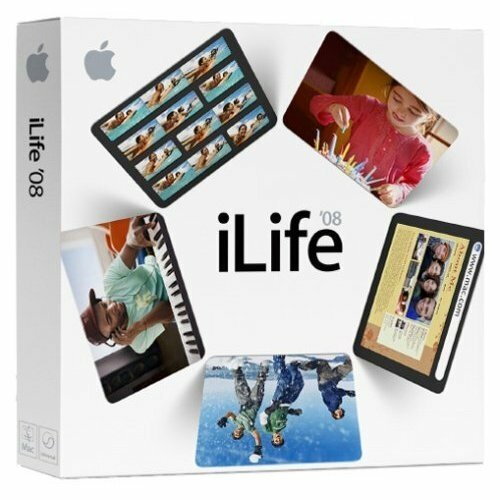 This iLife 08 Apple Mac software is used in retail packaging as shown in the pictures above. In stock and ready to ship.